Part of Evergreen Finance London Limited, MoneyBoat UK is a transparent and flexible short term and payday loans direct lender. We offer loans of anything between £200 – £1500 for maximum of 6 months. When you take out a loan with Moneyboat, all of your repayments are clearly set out and simple to understand. At MoneyBoat we stand by our commitment to offer our customers affordable and fair short term loan options of up to £1500. Even applicants with bad or more adverse credit can apply with us. As direct lender authorised and regulated by the FCA, our commitment to our customers is to lend responsibly and efficiently, whilst offering full and confidential support along the way. Our customers choose us for our fast, short term loan solutions on flexible and personalised instalment schedules. We come to work everyday because we want to solve one of the most difficult problems for the British public – waiting until payday. Our UK based no-fee loans are straightforward, affordable and transparent. Talk to us for a personalised service from beginning to end. There are many direct lenders out there. MoneyBoat are proud to be the ones you can trust. How fast can I have the money? Moneyboat provides unsecured loans to customers – even those with bad credit can apply. Our focus is to provide fair, flexible and transparent loans. No additional charges or suprises. With Moneyboat you’ll know exactly what to expect right from the start. As a moral direct lender we stand for fairness and trust. Choosing a direct lender whilst in a short term crises isn’t easy. What should you be looking for and how much should this cost? Are there risks involved? Will taking out a loan affect my credit score? All of these questions and more are commonly asked by our customers. Have a look at our FAQ page for all of the information that you’ll need before taking a loan with us. In today’s world we understand the infrequent need for short term finance options, especially in the UK’s stormy financial climate. Our lending staff are sensitive and experienced. Call today to find out if a short term loan is the right choice for you. Moneyboat supplies short term payday loans to customers all over the UK. If you have looked into how payday loans compare worldwide, you’ve probably noticed that the payday loan industry in the UK is one of the most secure and customer sided loan industries in the world. 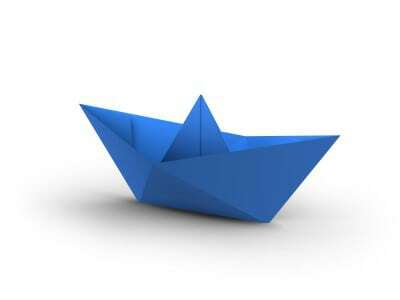 How does Moneyboat compare with other UK direct lenders? There are many direct lender and broker sites available nowadays for consumers in the UK. How can you know which one to trust and which to click away from? We have often been asked how Moneyboat compares to loans like Wonga, Quickquid loans or MrLender. Who is the best UK lender for payday loans? Take a look at some of the services Moneyboat has to offer.